The first issue bearing a 2018 date is a whopper, with 12 first tests packed into the January issue. The first issue bearing a 2018 date is a whopper, with 12 first tests packed into the January issue. We’ve got behind the wheel of the Jaguar E-Pace, DS 7 Crossback, facelifted Ford EcoSport, new Volvo XC40, updated Kia Sorento, Fiat Fullback Cross and all-new BMW X3, as well as testing the Jeep Compass, Mercedes-Benz E-Class All-Terrain, Fiat 500L and ST-Line and Vignale versions of the Ford Fiesta on UK roads for the first time. Nissan’s facelifted X-Trail is pitched up against the all-conquering Skoda Kodiaq – which one reigns supreme in the seven-seat SUV sector? We’ve also been driving the new twin-turbocharged 2.0-litre Jaguar F-Pace R-Sport, tested the BMW 520d M Sport Touring and put the updated SEAT Leon X-Perience through its paces. 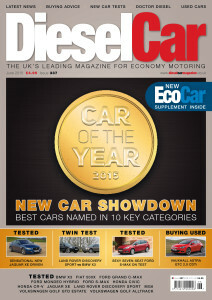 The UK’s best-selling diesel car joins the DieselCar long-term test fleet, with Nissan’s Qashqai spending the next six months with us. In EcoCar, we drive the Hyundai Ioniq plug-in hybrid and examine another set of alternative engines, this time HCCI. There’s also the penultimate long-term test report with our Suzuki Ignis SHVS. 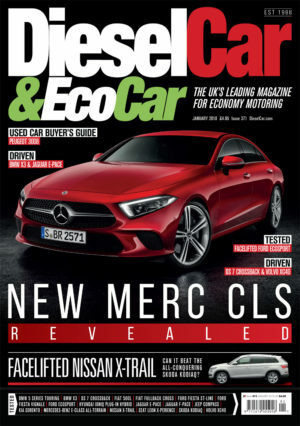 All of this is in addition to the DieselCar & EcoCar regulars, including Doctor Diesel, The Extra Mile and the most up-to-date data section in the business, as well as extensive coverage of the latest news in the world of diesel and alternative fuels.